11 LISTS Tips & ToesLists about your fingernails (and toenails) and ideas for cool, unique, and ambitious nail art you can try at home. Fixing a broken nail can sometimes seem as impossible and daunting as fixing a broken car. But nails don’t even come with an instruction manual. There are more than a few good tips for fixing a broken nail, though. You just have to get a little creative. Some of the products you already have at home can actually help repair cracks and other fingertip mishaps that occur because of daily wear and tear. Straightforward repair methods involve nail glue and nail gel, but there are out-of-the-box ideas that involve surprising items, like tea bags and coffee filters. Even if you haven't heard of them, these methods work. No more broken nails for you; you can worry about fun things, like which nail art designs to pick next. This broken nail fix is life-changing. The next time you snag or rip a nail, just grab a file, a tea bag, nail glue, and clear polish. File your nail just a bit to even out the area around the tear. Then, trim your tea bag (a coffee filter could work here, too) into a small patch. Apply a dot of nail glue to the tear, and cover the broken nail with the tea bag patch. Let the area dry, and cover it with a coat of clear polish. That's it! Want to fix your nail the right way? Then you'll need a silk nail wrap. Simply wrap the broken nail (it's a good idea to buff it first) with a silk wrap, and cover it in a clear coat of polish. Pro tip: Invest in silk nail wraps that have adhesive glue on one side to make the repair process that much easier! 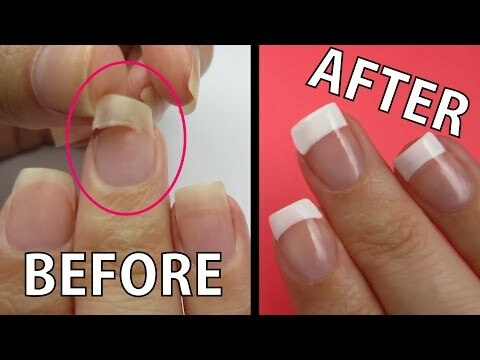 If your nail is less broken and more completely torn off, then this is the nail hack for you. You'll need resin, a roll of nail silk, a pair of tweezers, and the broken piece of your nail, of course! Cut a piece of silk, and place it on your nail. Then, brush it with a coat of resin before using tweezers to carefully and quickly place the broken portion of your nail onto the silk (the resin dries super-fast). Ta-da! You don't need to go crazy repairing a ripped nail. All you really need to get the job done is a bit of nail glue, especially if the tear isn't too bad. 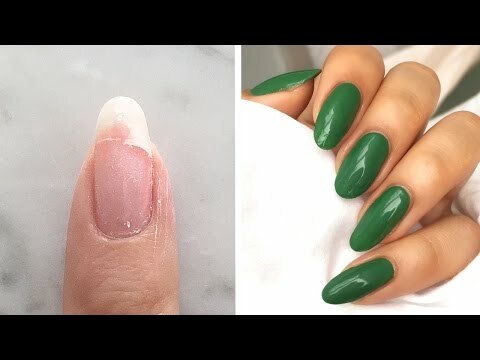 After buffing the torn area and creating a smooth canvas, dip a bit of nail glue on the break and hold the torn pieces of your nail in place until the glue dries. Then, buff the area once more to even out any rough edges.